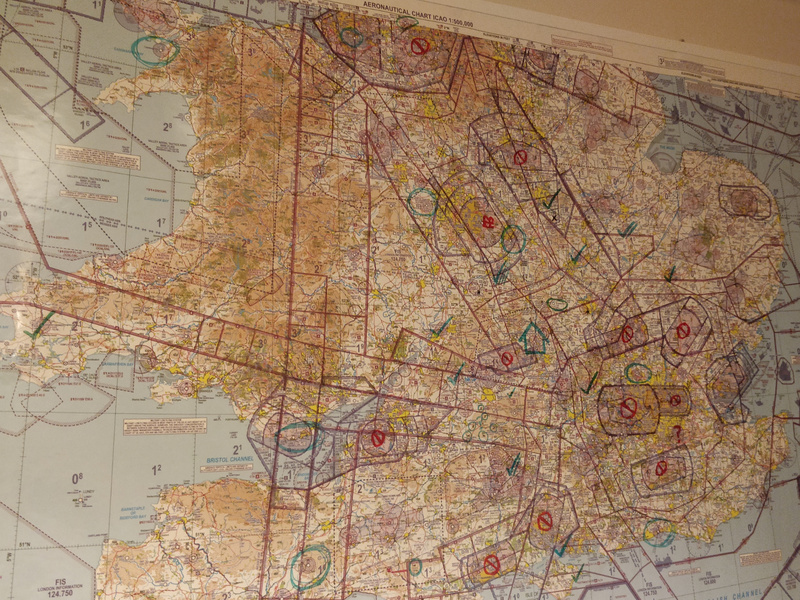 So here's a long overdue write-up of my experience of learning to fly, mostly for the benefit of the few non-flying friends at whom I haven't already rambled enthusiatically about it. In March 2017 I had a trial lesson in a PA-28 at Pilot Flight Training, in which I took the controls for almost the entire flight, and immediately caught the bug. The cost of getting a licence from scratch including flying time, books, exams and medical is similar to a year of university fees, so deciding to start the course was not trivial, but since then I've always been really happy that I did. Here's a PPL syllabus (from a different organisation) which I can summarise as: first you learn the various skills of just controlling the aircraft, then how to combine all that into a local flight (including solo), and finally you add navigation. As with many other skills, it's a layered approach: at each level, it's a matter of getting increasingly comfortable with what you know so far until you have spare capacity to add the next thing - and what you're comfortable with will gradually increase from "keep the plane the right way up" all the way to "go land at Peterborough and Gloucester by yourself" (the Qualifying Cross-Country flight). By law you must do at least 45 hours to get this licence. Most people take longer; I took about 60 hours, over a period of about 14 months, booking flights up to twice a week - but flying rather less often because of weather. Since then I've got my night rating, and made a decent start on my Instrument Rating (Restricted), which in the worst case will let me get to my destination without seeing the ground from shortly after takeoff until descending through 500 ft. Instrument flying, too, is just a matter of adding more tasks in the cockpit, but so much so that workload management becomes a required skill in its own right.